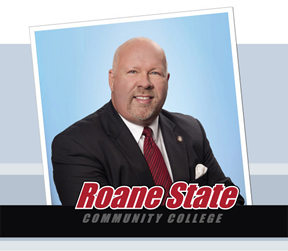 Roane State offers entire online degrees and over 100 distance courses every year. We have the flexibility to allow you to keep working, support your family, and still reach your educational goals at the same time. Contact an advisor today to find out how. How do I start my class? Do you have free tutoring available? Our distance education program offers a large variety of online courses that provide excellent alternatives for students who are unable to attend classes during regular hours. Our online courses are taught by the same qualified instructors, follow the same curriculum, and maintain the same quality and standards as our traditional classroom courses. College-level courses are offered in a variety of convenient formats. If you are not sure which type of distance education course is right for you we have several types to choose from depending on your schedule and your educational needs. Please visit our Selecting Courses webpage to see which format would be right for you. In addition to online courses, Roane State Community College offers web-enhanced face-to-face courses, hybrid courses, and interactive video classes. Students enrolled in courses designated as “W” indicating web/online delivery method, will pay an additional fee per credit hour; the written procedure and college fee schedule are published online on the Bursar’s webpage for Student Fees. These funds are used to defray the additional costs for distance education including software, faculty training and development as well as online student services/tutoring. Thank you for your interest in Roane State Community College Distance Education Program. We look forward to helping you achieve your educational goals. "In Roane State’s distance education courses, you will be able to participate in vigorous class discussion, get to know your professors, and study unique and exciting content created by experts in their fields. Distance education is a great fit for busy students, and our faculty will guide and encourage you as you pursue your degree. It’s hard work, but you can do it!"